Stephen F. Malouf received his B.A degree in Political Philosophy from The University of Dallas and his J.D. from St. Mary’s University School of Law. 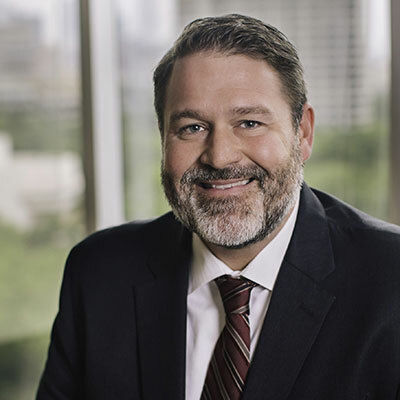 He is a member and Life-Fellow of the American Board of Trial Advocates and Texas Bar Foundation and a Fellow of the American Bar Foundation and the Dallas Bar Foundation. He has been selected a “Texas Super Lawyer” by Texas Monthly Magazine and recognized as one of the “Best Lawyers in Dallas” by D-Magazine. Mr. Malouf’s practice includes commercial and personal injury litigation. His cases have included: defense of the Government of the Democratic Republic of the Congo in debt-default and expropriation litigation; representation of clients in mining disputes and contract negotiations involving mines in Angola, Canada, the Democratic Republic of the Congo, Madagascar, Namibia, Sierra Leone, and Zambia; representation of 17 families of persons killed in the Air France Concorde crash in Paris, France; representation of the family in a wrongful death medical negligence action that resulted in the largest medical negligence verdict in U.S. history; representation of the homeowner in the largest residential fire in U.S. history which destroyed a home with an appraised value of $45 million; vehicular design defect litigation against automobile manufacturers involving restraint system, fuel system, and brake system design; representation of oil & gas clients in disputes involving operatorship of oil and gas operations, oil and gas royalties, and management of oil and gas investment funds; and representation of Brazoria County, Cameron County, Dallas County, and Harris County, Texas in claims involving the mortgage industry’s alleged abuse of the counties’ real property recording systems. Jonathan A. Nockels attended the University of Texas where he received his Bachelor of Arts degree in History before earning his J.D. from Southern Methodist University Dedman School of Law. Mr. Nockels joined The Malouf & Nockels LLP as an associate in July 2006. Mr. Nockels is a member of the American Association of Justice. Mr. Nockels has volunteered for Burning Heart Ministries, working in the AIDS Hospice and leading a relief mission to Romania and attending missions to Nepal, Mexico and various other United States cities. Mr. Nockels’s practice areas include business litigation, MDL, legal malpractice, mass torts, and class actions. Jeremy C. Martin received his B.A degree in English from Stephen F. Austin and his J.D. from St. Mary’s University School of Law. 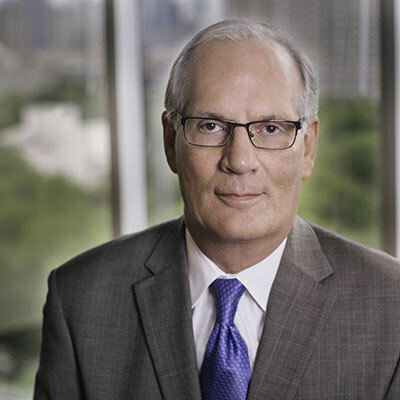 After clerking for former Chief Justice Marilyn Aboussie of the Austin Third Court of Appeals, Mr. Martin joined Gardere Wynne Sewell, LLP as an associate in the firm’s Dallas office appellate section. Mr. Martin subsequently practiced appellate law as a sole practitioner and a partner in Simpson Martin LLP. He has been selected a “Texas Rising Star” by Texas Monthly Magazine. Mr. Martin is a member of The College of the State Bar of Texas and The Texas Supreme Court Historical Society. 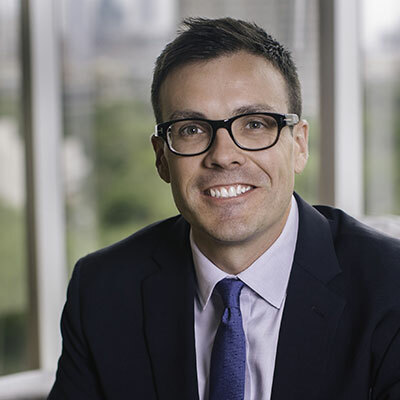 He has served as an officer for the Dallas Bar Association Appellate Section for the past three years and served as the section’s chair in 2012. Mr. Martin’s practice areas include business litigation and issues and appeals. Sarah A. Shulkin received her B.A. degree in English from the University of Texas at Austin and her J.D. from Southern Methodist University Dedman School of Law. 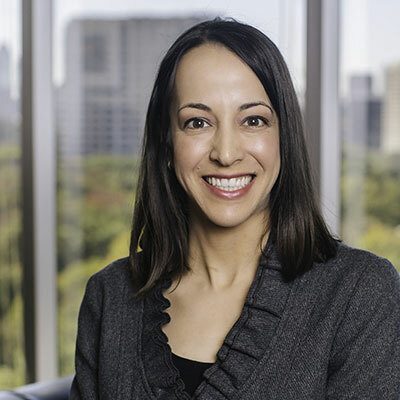 She is a member of the Dallas Bar Association and the Dallas Association of Young Lawyers. She is also a member of the Cardozo Society Attorneys’ Division of the Jewish Federation of Greater Dallas. Ms. Shulkin is a lifetime member of Texas Exes, University of Texas’ Alumni Association. She serves on the Board of the Jewish Federation of Greater Dallas’ Network Division and chaired and organized their annual community service day in 2010. Ms. Shulkin assists Mr. Malouf with cases in the areas of business litigation, medical malpractice, and MDL.